Once more I decided to do one more single-player level for Duke3D. MSSP7 is the seventh in MSSP serie and it's mainly designed for 'MSSP Episode v3.0'. This map is smaller and less detailed than for example MSSP6. 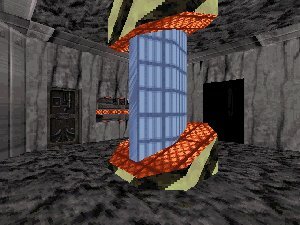 I wanted it that way because I was inspired by original Duke3D's levels to create this map. Anyway right now this map offers you well designed sectors, secret places, enjoyable gameplay (all skills) and multiplayer games and key hunting. And finally a space level.